Monday 8th May saw the start of Mental Health Awareness Week 2017 #MHAW17. As part of Shire’s Wellbeing project, a commitment was made to raise awareness around the importance of psychological health as well as physical health. As part of this commitment, I have signed the Charter for Employers who are positive about Mental Health on behalf of Shire Leasing PLC, which is part of a NHS Trust Mindful Employer initiative. The Charter has aspirational aims that include showing a positive and enabling attitude to employees and job applicants with mental health issues as well as equipping our line managers with information and training to support and manage mental health in the workplace. For #MHAW17 and the theme of Surviving or Thriving, the question arises – why are too few of us thriving with good mental health? I think it is important to recognise, that we all have mental health, good or poor. Mental health is not necessarily about mental illness. 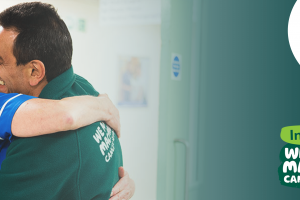 Any one of us can be suffering poor mental health for any number of reasons – workplace stress, a new job or new to the company, impact of a bereavement or other significant life events. Depression and anxiety or other mental health issues may result from this leading to longer term issues. It is well known that being able to talk about this and share with others can have a huge positive impact. It is easy however, for all of us to not find time or make time. I am one of the worst for not looking after myself when I’m busy. However, if someone said to me “Do you have time for a chat”, I would immediately make time for them. But that takes courage – who easily turns to a colleague when you can see they are busy, who has the courage to say “I’m struggling”? We have been running Vintage Tea and Cake sessions this week. 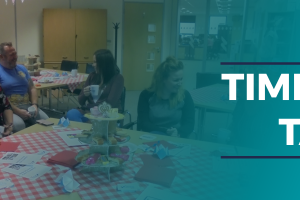 Most of our staff have been coming along to our ‘tea room’ for 20 minutes, getting away from their desk, sitting with colleagues and holding conversations on mental health, whilst having a cup of tea or coffee made for by our volunteers which included some of the Executive Board and having a piece of cake. We have had some really positive feedback – we asked people to leave suggestions and comments about the experience which we will now take on board and work with. 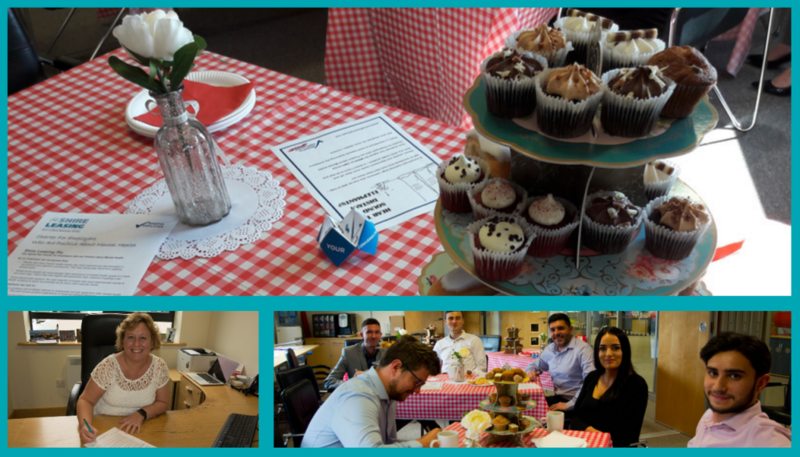 The aim of the Vintage Tea was to start conversations, raise awareness and help to beat stigma. It was about saying we are prepared to listen, be supportive of ourselves and towards others. For more information about Mindful Employer and the Charter we have signed please see www.mindfulemployer.net.